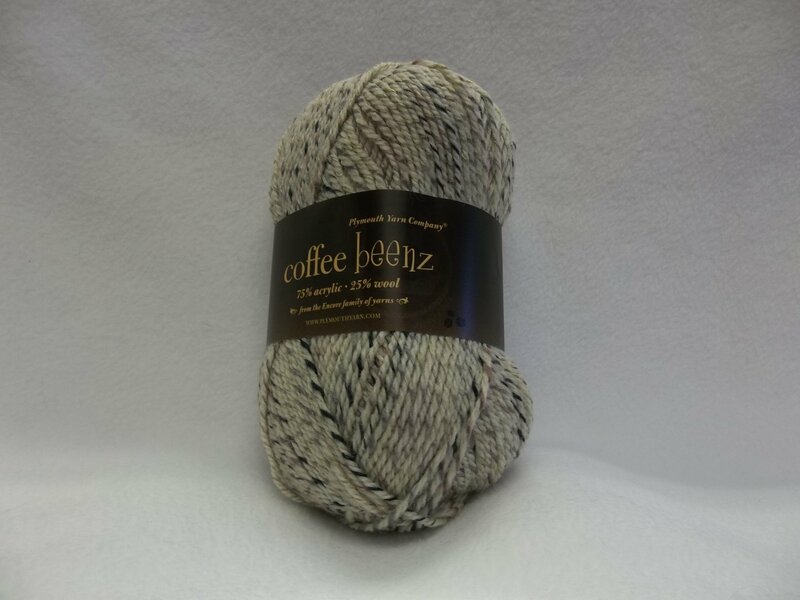 Coffee Beenz Yarn by Plymouth Yarn Company. 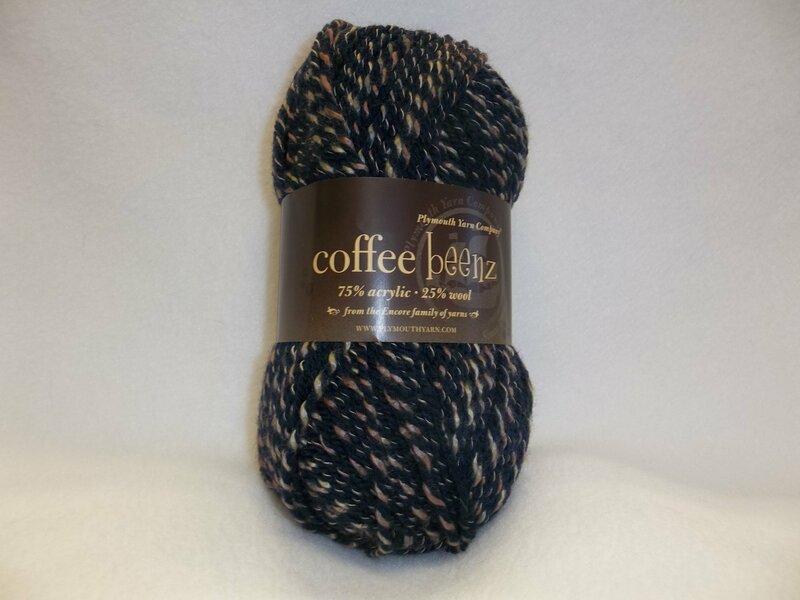 75% Acrylic and 25% wool worsted weight yarn. 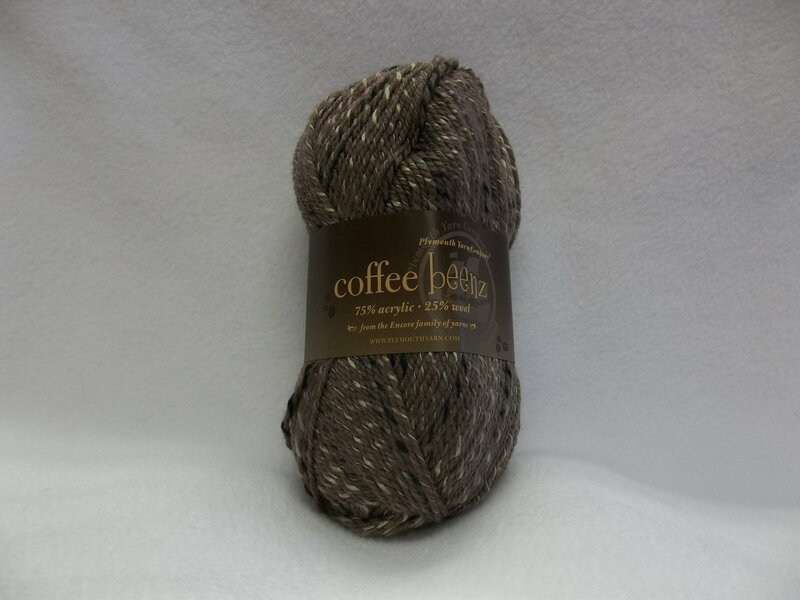 214 yards per 100 grams. 4.5 stitches per 1 inch. Recommended needle size is 8.